The link between diet and health is well proven and, more importantly, widely acknowledged by doctors, for ailments such as diabetes and heart disease, but are roundly ignored by them in treating other human conditions – cancer being one of those. We address this in our book Medical Industrial Complex, and we ask why mainstream (Western) medicine seems to go out of its way to discourage cancer patients from making too much of the cancer-diet connection. The good health site HoneyColony.com neatly addresses this in an article quoting Dr. Carolyn Dean, a medical advisory board member of the nonprofit Nutritional Magnesium Association. 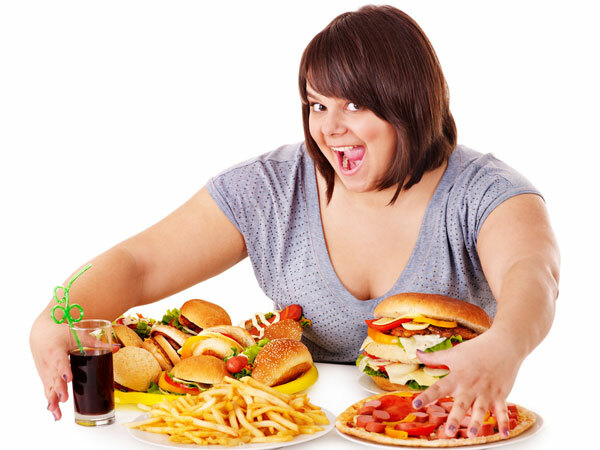 She says, “There are many reasons why diet is not stressed in cancer treatment” and “Most of them stem from the fact that medicine does not put any emphasis on nutrition in medical school…In about 3,500 hours of typical medical school training, maybe one, two, or three hours’ worth of classes are devoted to basic nutrition”. So now it’s only three hours of basic nutrition at most…in a five-year course! Lordy. The cancer-diet connection is also examined by the BBC online in an article dated May 19, 2013. Presenter Sheila Dillon, herself a cancer patient, observes, “Thousands of scientific papers have been published on the link between diet and the treatment and prevention of cancer, but in practice food is still considered a marginal aspect of cancer care”. Ms Dillon continues, “Research confirmed that in most cancer centres in the UK, diet is still seen as almost meaningless in cancer treatment and aftercare. Yet there is good science available on the subject, though not a lot of it is what medics call ‘gold standard’ science. “There are almost no double-blinded, large scale, studies done on people because they are expensive, very hard to do and there is no financial incentive. Who would make serious profit out of the discovery that mushrooms kill cancer cells? “Most of the research has been done on cancer cells in the laboratory or on animals. What the best of it shows is interesting implications in a range of foods. “One of the best-researched foods (in the US and Ireland) is the spice turmeric. Curcumin is a chemical compound found in the root of turmeric, which has a general anti-inflammatory effect and quite specific effects on several forms of cancer, including mine,” she says. “Research has also been conducted on berries containing ellagic acid, which seems to curb cancer cells’ ability to grow their own blood supply, mushrooms (the polysaccharides), green tea, as well as the cabbage and onion families. Ms Dillon concludes, “From my experience as a cancer patient I think many people fear that they are being ungrateful for the medical care they have had by bringing up issues such as diet”. Still in the UK, if a report published by the British Psychological Society is correct, “too many people with eating disorders are being dismissed by doctors as simply having peculiar habits with food”. The report, dated February 25, 2014, is based on the findings of Cosmopolitan UK magazine and the charity Beat which warned that “around 1.6 million people currently have an eating disorder in Britain, half of whom have being diagnosed with an EDNOS (eating disorder not otherwise specified) that is separate from anorexia or bulimia”. The article continues, “However, many of these patients could be left waiting up to two years for treatment in the form of cognitive behavioural therapy because GPs do not view their symptoms as sufficiently serious to warrant urgent investigation”. By now it should be clear there’s a serious disconnect between (most) doctors and the role of nutrition in their patients’ health. Whether you blame those who set the already crowded curricula at medical schools or whether you blame the tunnel vision mainstream medicine has regarding diet, the fact remains there’s a problem. And in many independent medical researchers’ eyes it’s a big problemo. You are what you eat…right Doc? When did your doctor last talk to you about your diet? 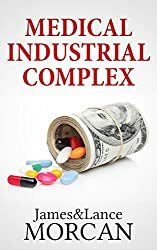 We ask that very question in our no-holds-barred book MEDICAL INDUSTRIAL COMPLEX: The $ickness Industry, Big Pharma and Suppressed Cures. Most are aware of the old adage, You are what you eat. It seems to us, though, that many members of the medical profession aren’t aware – or, if they are, they consider it an old wives’ tale. We suspect that, more often than not, doctors only deign to discuss diet when a patient dares to raise the subject. And then, if your experience is like ours, you’ll be greeted with a frosty stare or, at best, a few mumbled banalities about not over-eating or the importance of a balanced diet or cut down on fats. Which leads to more (related) questions: How long do doctors-in-training spend studying nutrition at medical school? And why isn’t nutrition on the curriculum alongside biochemistry, pathology, physiology and the like? To add some balance to the discussion, one contributor (from the University of Jordan) to the above thread observes that nutrition is “a specialized field and huge in its content.” He adds, “Medical students (are) overwhelmed by texts, labs, and courses. It requires an evolutionary plan to incorporate nutrition with medicine curricula”. Medical educators at least pay lip service to the importance of nutrition, and they appear to be in general agreement that there’s not enough instruction on this topic in today’s medical schools. For example, the American Academy of Family Physicians (AAFP) addresses this via its official online site AAFP News. In an article dated May 17, 2010, the writer reports that although most medical schools (in the US) offer some form of nutrition education, only one-quarter require a dedicated nutrition course. The article continues, “In fact, the amount of nutrition education that medical students receive is so ‘inadequate’ that ‘medical school graduates feel unprepared to intervene in their patients’ care with regard to nutrition,’ according to the UNC preliminary survey results”. Another 2010 report – this one published by the US National Library of Medicine in conjunction with the National Institutes of Health – concludes that “The amount of nutrition education that medical students receive continues to be inadequate”. That report summarizes a survey of 109 medical schools, which revealed that “most (103) required some form of nutrition education” of their students. The most disturbing revelation, however, is that “Overall, medical students received 19.6 contact hours of nutrition instruction during their medical school careers”. 19.6 contact hours of nutrition instruction? During a med school course that takes, what, four or five years at least? Let’s face it, sensible eating is probably the best single thing we can do to help ensure a healthy future as food governs the functions of our organs and figures prominently in both the contracting of illness and disease, and in our recovery from those ailments.